Multnomah County Sheriff's Deputies said the driver's injuries are not life threatening. 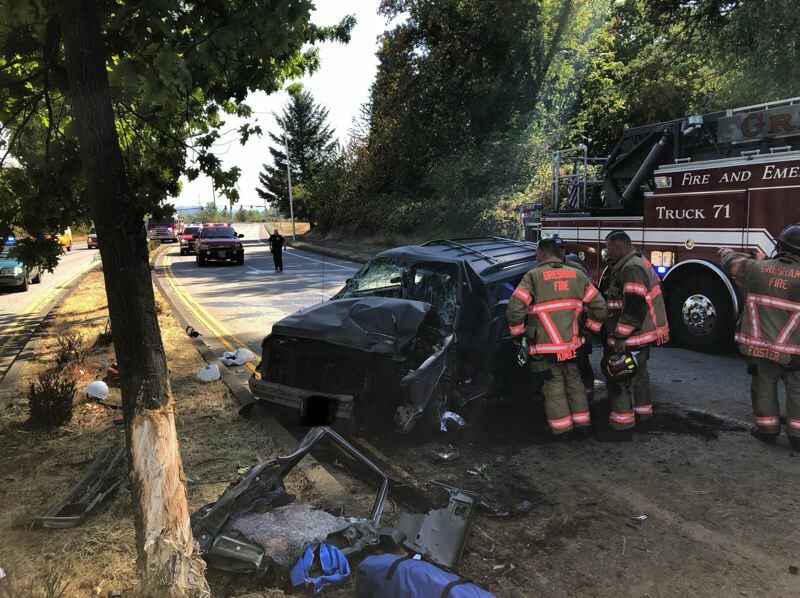 A man suffered serious injuries after he lost control of his SUV in Fairview, hit the median and then crashed into a tree, and blocked the two southbound lanes of Fairview Parkway. The man, who has yet to be identified, was transported to the hospital, according to KOIN 6 news, an Outlook media partner. Multnomah County Sheriff's Deputies said the man's injuries are not life threatening. It's not known what caused the SUV to lose control on Tuesday, Sept. 4. A second vehicle rear-ended the SUV because the it didn't have time to react. No one was injured in the second vehicle. MCSO tweeted at 4:03 p.m. that the crash was clear and the road was open.